While taking a class called Design Decisions at the School of Visual Arts in the MFA Design program, we started with something we threw away, and were told to redesign that thing. The class, taught by MFA Products of Design Chair, Allan Chochinov, challenged us to take risks and have a point of view and opinion on all of the things that are put out into the world. The piece of trash that I threw out was a dishwasher tablet. From there, I made 100 sketches re-imagining and re-designing what a dishwasher tablet could possibly be. The next week I made three storyboards for three different products inspired by the dishwasher tablet and the act of actually washing your dishes. But I wasn't really thinking broad enough. 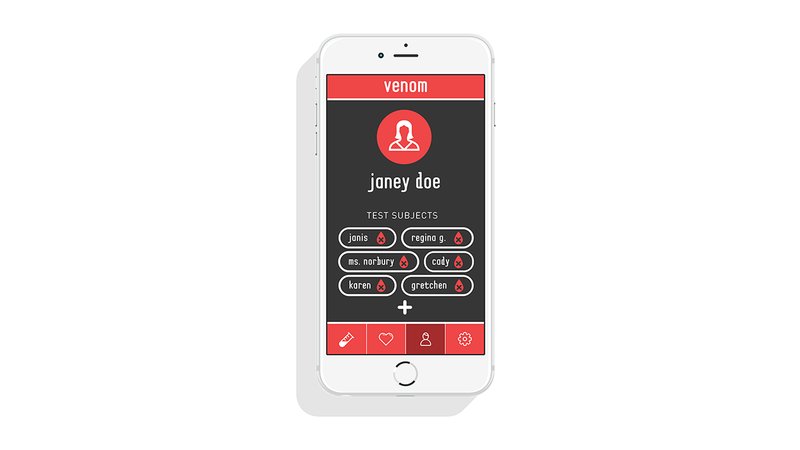 The next week we were assigned to make an app to save the world and an app to end the world. So I started thinking more about what dishwashing really involves. Obviously one of things is water. My app to save the world was called Reserve and used the internet of things to track how much water your household consumed on a daily basis. The app encouraged you to save water. For each gallon of water you saved, Reserve matched that amount and gave it to someone in the world who didn't have access to clean drinking water. I also thought more about the dishwasher tablet itself, and through research I learned that there is a staggering number of children who ingest these tablets by accident every year because they mistake them for candy. With that I mind I made an app to end the world called Venom. 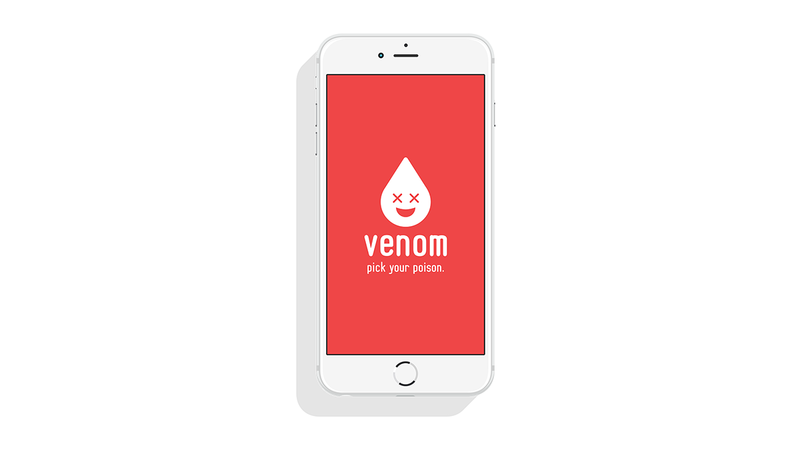 Venom is an app for children that teaches them how they can use the household chemicals they find in their homes to poison other people. Kids were able to learn how they can combine chemicals and mix them into things to make them undetectable so they can cause harm to the world. After that, I decided to partner with Birchbox and made a line of beauty products that look beautiful, but all contain harmful and toxic chemicals that do damage to your hair and skin over time. This brand was called Retox. 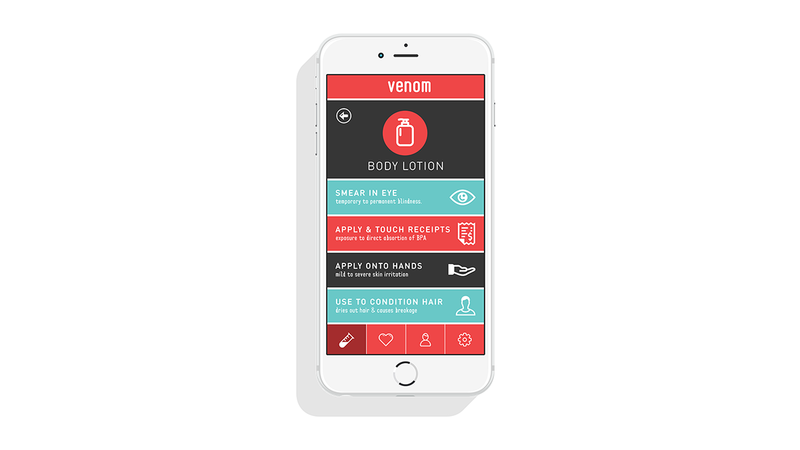 All products could be sent to an enemy as a gift through Birchbox's monthly gift box subscription service. 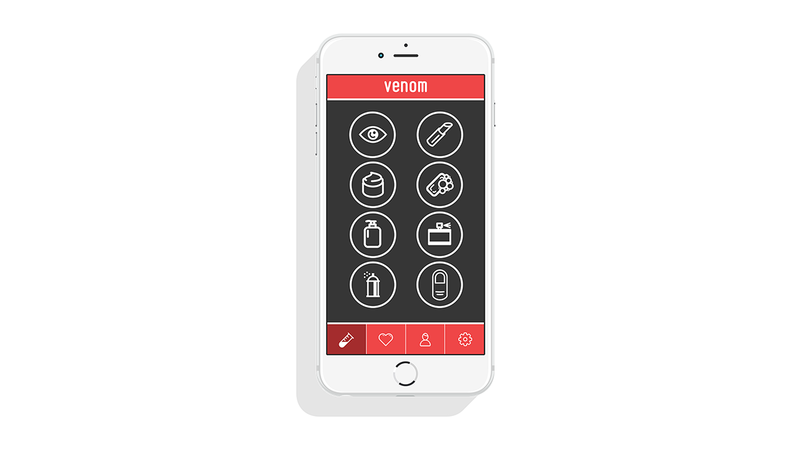 For the last piece of this assignment, I needed to figure out a way to make Venom and Retox work in the real world. So I began thinking back to things I learned in my research about beauty products and how one of the most appalling things I learned about was the amount of banned and harmful carcinogens and chemicals are in the beauty products we use on a daily basis. With extended use of these products, we are all exposing ourselves to poison while we are trying to improve ourselves. 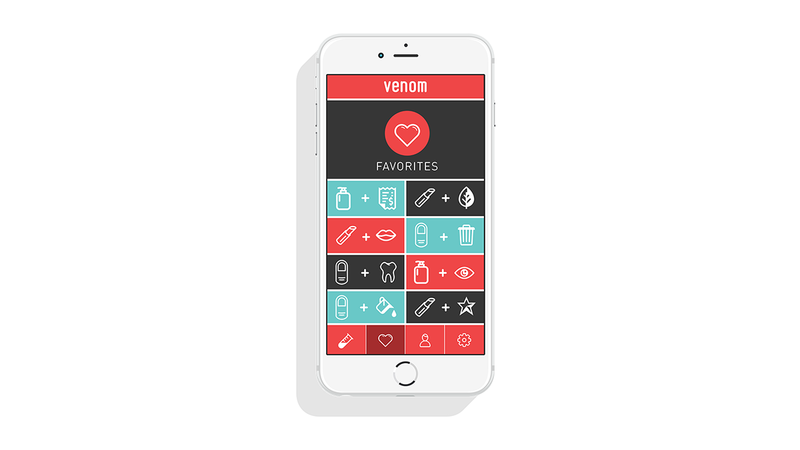 Instead of making Venom a good thing, I made the decision to alter the app and make it all about beauty products. Kids can use the app to learn how they can poison other people, but the catch now is that all of the suggestions for harm are actual things we do with our beauty products every day. In this way, kids are no longer sheltered from the fact that these products they think are harmless are actually harmful to them in some way.